Time Out Challenge #111 is up and running. 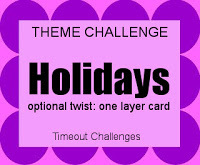 The theme is Holidays with an optional twist of a one layer card. There is a story behind my card. "Holidays" can mean days on the calendar on which specific things are celebrated like Christmas, Easter, Valentine's Day, Mother's Day, etc. For some, the word "holidays" means a vacation or getaway. So in thinking about what I would do here, my favorite (American) holiday, Thanksgiving, came to mind immediately. It is a time to reflect with gratitude, to share time and food with friends and family, and celebrate the harvest. 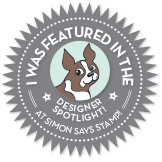 My very dear friend, Sandie Munro, Administrator Extraordinaire of the Time Out Challenge, sent me this wonderful Stamplorations Unknown Blessings - Typographia stamp. When I saw it, I immediately know I would use it for a Thanksgiving card. Thank you Sandie, for this lovely gift. I masked the portion where the sentiment is stamped, then I embossed it with brown EP. Even though I prepared the surface, some smudges appeared there. I tried to cover them up with leaf sequins, but that made it too busy, so I had to cut out the masked part and emboss the sentiment again. I lined up a few layers of the piece with the sentiment. I think it looks great, but it does not meet the one layered part of the challenge as I had intended. I just ran out of time, so here we are! 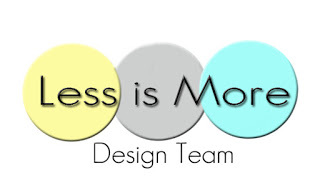 Our guest designer for this challenge is Ishani. 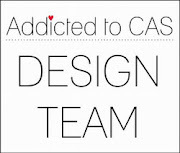 Please check our her wonderful work. You are sure to be inspired! Seven Hills Crafts is our sponsor. 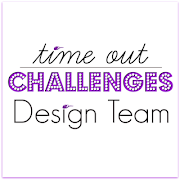 Please head over to the Time Out Challenge Blog and see what Ishani and the Design Team have created for your inspiration. Join us in the gallery for a chance to win! I love that background, perfect colours for thanksgiving. The sentiment looks great on this panel-pleased to know I am not the only one who covers up mistakes!! This looks great Stephanie and I think it's great as it is, doesn't not have to be a one layer! The dotty bg is very interesting and the colors are perfect for fall. Ink smudges are - I can't tell you how many projects I have scrapped due to my messy fingers! 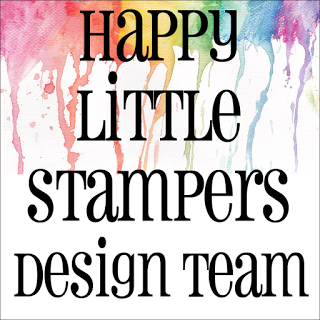 I love the beautiful colours in your background and the way you have layered them - perfect for the sentiment.